Gray wolves inhabit mostly wild and inaccessible areas in a very limited portion of their former range within North America. 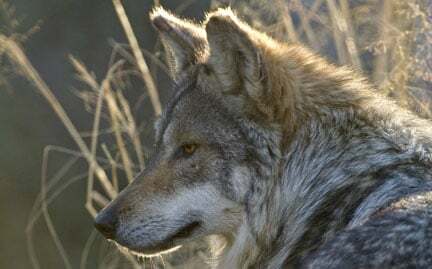 Gray wolves are part of the dog or Canidae family, a group characterized by their intelligence and adaptability. Like other members of the dog family, wolves are very territorial, laying claim to familiar den sites, travel routes and feeding grounds. Wolves suffer not only from habitat loss, but they also endure revenge killings for attacks on wild stock.